Last week we were talking about Mercadona, a clear example of business success at many different levels: its close relationship with suppliers, the commitment to continuous improvement, the training of its workers and the commitment to the white label have been decisive in this race to triumph. While it is true that one of the key factors of success is the figure of “The boss”. In the Mercadona philosophy the customer is the boss. The goal is to have the products with the highest quality and at the lowest price possible. But “The boss” exercises control not only in the mix of products and the layout of supermarkets, but also in the central axis of decision making related to the group’s logistics operations, as they do in other areas of the company. Quality is now also the priority, within a scope of action that ranges from the provisioning of products to delivery to stores. The key is, then, that the whole organization is aligned according to the consumer. “The solution to avoid problems lies in giving a correct sequential order to the objectives of logistics, and we have to start with quality, followed by the quantity, the time, the place, and finally the cost,” said Montanyà, Logistics General Manager of Mercadona. As a positive example, Montanyà mentioned the change made in the automatic picking equipment of its platforms, which allows to stack and prepare several boxes at the same time, instead of one, as was done with the previous machinery. Although the investment in this last type of equipment had already been made, it was decided to substitute – beginning at the center of Guadix -, to gain in agility, which translates into less time in the presentation of the product to the consumer and in greater freshness and quality. Besides putting the consumer in the center of the logistics operation Montanyà did not leave aside other important concepts in logistics, such as productivity. The design of logistics thought for the worker; collaboration with suppliers; respect for the environment – both that of the inhabitants close to stores and the environment – are other requirements of Mercadona’s supply chain. 1. Reduction in transportation costs due to consolidated transportation offsetting even the use of small lot transport. 2. Improvement of the assembly manufacturer’s production line and greater accuracy of JIT goods delivery due to synchronization. Milk-Run logistics can provide consolidated collection of goods necessary to improve logistics procurement systems. 3. Improvement of the vehicle loading rate, shorten the total distance traveled. It can achieve various suppliers and manufacturers of coordination, improve agility supplies and flexibility, but also improve the ability of the manufacturer’s response and system efficiency. 4. It reduces the risk of product quality if problems. Manufacturers can quickly discover and inform the corresponding suppliers, to minimize the impact on sales. 5. It changes logistics strategies, using third-party logistics significantly reduce in-process inventory, increased capital flows, reduce investment risks. Have you heard of CarbonStory? Based on gamification, this app for a sustainable supply chain allows organizations to calculate their environmental impact and helps them reduce their carbon footprint while competing with other companies. Technology once again combines with supply chain sustainability and, in the form of apps, makes operations greener than ever. Do you know the applications that could improve the management? Sustainability in transportation: The Canvas application has been designed to help optimize the processes of transportation and global logistics management. Packaging Sustainability: COMPASS is an application that allows designers and packaging engineers to compare the human and environmental impacts of up to four different designs. End-to-end sustainability: The environmental responsibility of suppliers and supply chain partners is easier to monitor thanks to applications such as Ecodesk. Sustainability in the supply: The Frequentz app gives you access to the traceability of your sourcing function. I consider that companies need to invest in new technology like this because it would allow them to grow in the market and to have all the control in the supply chain. They offer to the business a easy way of send products to their customers. They give to the business flexibility in order they don’t have to pay employees that don’t have anything to do in valley hours or they don’t have problems on peak hours. In addition, they work as an intermediary between the restaurant and the customer so they guarantee that the restaurant will get paid. Finally, they promote their business on their app and their Webpage. So, the business used to get more customers. For their workers, they give a flexible job where they decide which hours want to work. In addition is healthy if they work using a bike. And is fast to be hired, in fact you will work as a freelance and they contract you and pay you for the orders that you deliver. In this case we will talk about Deliveroo and Glovo which are the most important in Spain. It’s a company which was founded in London in 2013 and they job is to bring food from restaurants to your house. Nowadays, they spread across eighty-four cities in the UK, Netherlands, France, Germany, Belgium, Ireland, Spain, Italy, Australia, Singapore, Dubai, and Hong Kong. In Spain, they are expanding its business and now they are working in Madrid, Barcelona, Valencia, Zaragoza and Sant Cugat. In the case of Deliveroo workers they pay you 4.25€ per order and they will earn at least 8,5€ per hour. They pay you twice per month and they give you a luggage carrier for your bike or your motorbike, one box for hold the orders, and two cooler bags, one for the box and another for orders. In the case of the customers, you have to pay 2.50€ for order, but if you buymore than 15€ transports cost are included. It’s another Start-up created in Barcelona in 2015. Actually, they are working in 8 different cities, Barcelona, Madrid, Valencia, Zaragoza, Sevilla, Málaga, Paris and Milano. Unlike Deliveroo, Glovoo works with all kind of Business, restaurants, pharmacies, markets… They can bring to your house from food till paracetamol, a book, a rose or whatever you want. Glovers are the Glovoo’s workers and they earn a fixed quantity of money for the order (2.5€), and a variable quantity that depends on the distance (0.55€/km) and the waiting time (0.05€/min). Additionally, if it is raining the glover will earn 30% more. In the case of the customers, Glovoo charge you a price for deliver your product from 1.90€ till 2.5€ depending on the establishment that you choose. In conclusion, there are a lot of companies that has been created in order to cover the last mile delivery, some of them are going very well, and others not, but it is a very interesting sector where people are investing a lot of money. The stock of security will be the “mattress” of merchandise that serves to cope with unforeseen circumstances. -Know when to place an order. For the reorder point calculation it will be necessary to take into account what is in transit and the expected demand for that merchandise that has to be covered. -Will be used when the actual demand is higher than expected. -Helps the logistic project manager in the search for results that maintain customer satisfaction. In my opinion, a bad decision in terms of inventory management can generate many costs whether it is deviated by excess or deviating by default. The definition of supply chain management (SCM) includes information flow as one of the two major flow components of the supply chain . The need to share information across the various entities along the supply chain is definitely of paramount importance. Information serves as the connection between the supply chain’s various stages, allowing them to coordinate their actions and bring about many of the benefits of maximizing total supply chain profitability. Wal-Mart Stores, Inc. has used point-of-sale bar-code readers feeding data into an information system that links stores, distribution centers, and vendors. Wal-Mart has entered into retailer-supplier partnerships known as vendor managed inventory (VMI) systems with a large number of its major suppliers. Under a VMI system, a Wal-Mart supplier (subject to bounds previously agreed upon with Wal-Mart) decides on the appropriate levels of inventory to carry at the retail stores, as well as the corresponding inventory policies to maintain such levels. To make such a system work, Wal-Mart shares point-of-sale information from its retail outlets directly with the supplier. Other retailers may fear that the willingness to share information would result in losing power within such partnerships. It actually allows the suppliers, given the easy access to information on consumer transactions and buying patterns, to themselves take responsibility for the sales and marketing of their own products within Wal-Mart stores. This saves Wal-Mart a significant amount of managerial and other resources. At the same time, these VMI partnerships have improved the suppliers’ on-time deliveries while increasing their inventory turnovers , and demonstrate how information sharing leads to mutual advantage for both parties in such partnerships. In all the information sharing that takes place in SCM, however, there is a need to ensure that the information flow is accurate and reliable. Procter & Gamble (P&G) started to explore, after experiencing erratic shifts in ordering along the supply chain for its popular brand of disposable diapers, a phenomenon referred to as the bullwhip effect. This phenomenon results in the flow of distorted information from one entity to another along the supply chain. 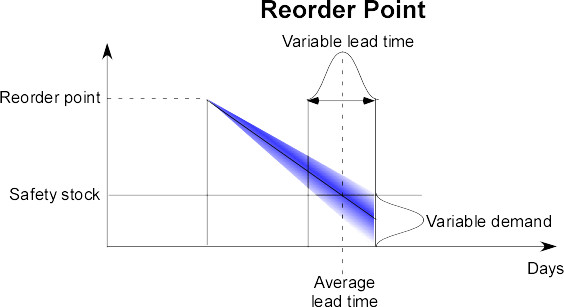 In particular, it was found that distributors’ orders showed more variability than that of sales (customer demand) and, further along the supply chain, P&G’s orders to its supplier exhibited the greatest variability. Managers at every link in the supply chain tend to magnify even slight demand uncertainties and variabilities, and will tend to make ordering and inventory decisions in their own entity’s interest. The phenomenon can give rise to excessive inventories, poor customer service, and lost revenues, among others. It is not unique to P&G or the consumer packaged goods industry, but has also been experienced in a computer company and a pharmaceutical company. It is worth noting that both the inter-functional and inter-organizational coordination dimensions of SCM have made significant strides forward as a result of developments in the field of information technology, particularly the growth of inter-organizational information systems. Enterprise resource planning (ERP) systems have facilitated inter-functional coordination. The wide use of electronic data interchange (EDI)—the direct computer-to-computer exchange between two business partners of standard business documents such as purchase orders and invoices—especially over the last ten years or so, has helped improve inter-organizational coordination in SCM. The queues management has changed greatly in the last few years, hand in hand with new technologies. For example, nowadays it is not unusual to find a hypermarket or a department store incorporating single queue solution. The most common are the notifications through a sound device or a screen. But, how do the fast-food chains do to manage the queues in their establishments? The main trend in the fast-food restaurants is the use of self-order kiosks. These kiosks allow the customers to interact with a touchscreen to choose the menu or the set of foods or beverages that they desire to take. Once the client takes a decision, pays automatically with a credit or debit card, receiving a ticket as a physical evidence of the purchase. Additionally, the fast-food restaurants have established a special queue for this kind of orders, speeding up the delivery process. McDonald’s is using this system since a couple of years, as you can watch in this short video about a half minute. However, this is not the only fast food chain using this interactive system, also companies as Domino’s Pizza or MAX, the famous Sweden burger restaurant, have incorporated this technology in order to improve customer experience. In addition, the fast-food companies are implementing mobile ordering systems, thus the clients can order a hamburger in advance, go to the restaurant and pick up the product without waiting. The possibility of forecast the demand in advance (mobile ordering).